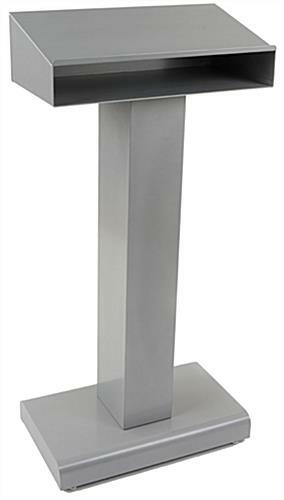 Sleek silver finish and steel construction for durability. Feet are adjustable for leveling the display on uneven floors. Easy assembly with all hardware and instructions included! 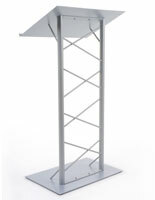 This silver steel cheap podium is ideal for churches, offices and conference rooms, churches, events and more. Each speakers stand is designed with a closed front for classic look. 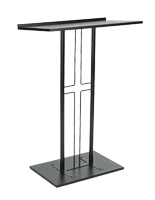 Each economical silver steel cheap provides companies with the same professional look and durability as a traditional wood pulpit but at a fraction of the cost. 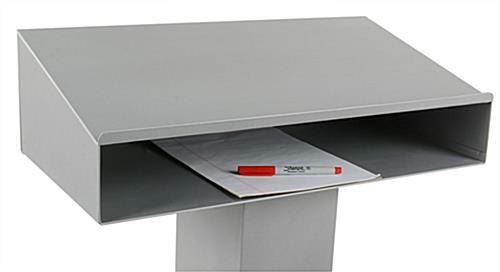 The presenter’s stand has a powder coating giving the unit a shiny finish. 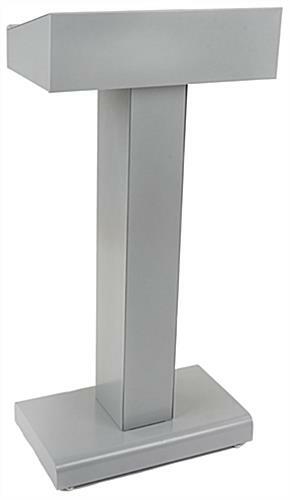 This closed front silver steel cheap podium is 47.75” tall, ideal for most speakers! 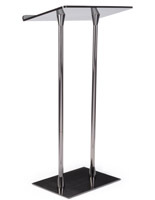 Each stylish silver steel cheap podium has a 23” x 14” base for stability. 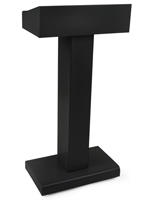 This lectern helps draw attention to the speaker. 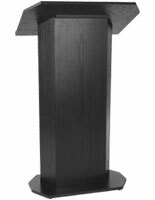 Cheap pulpits are ideal for both large and small facilities as well as special event use. Each metal stand has (4) feet. 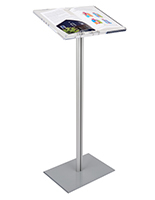 The elegant steel cheap podium has feet that can be adjusted for a balanced display even on a slightly uneven floor. This speaker’s stand also comes with a storage shelf that is accessible only from the back. 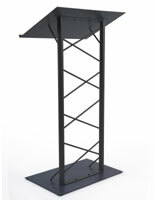 Each cheap metal podium comes with all the necessary hardware and instructions and is easy to assemble. 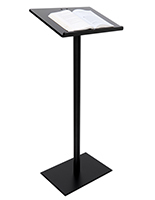 These metal lecterns have a large 23”w x 12”d reading surface for books, tablets or notes. 23.1" x 47.8" x 20.0"
23.1" x 3.0" x 14.0"